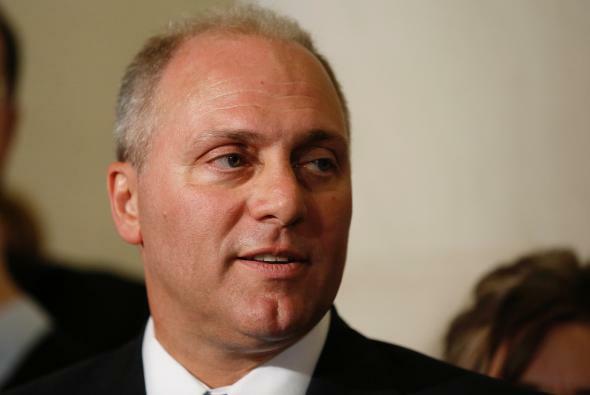 Scalise seeks distance from Duke’s white supremacist group. Majority Whip Steve Scalise after House Republican leadership elections in June 2014. Scalise’s comments came on the heels of a report revealing the now-House Majority Whip spoke at a conference organized by the European-American Unity and Rights Organization (EURO) in 2002. The group is considered a hate group by many organizations, and was founded by former Ku Klux Klan leader David Duke. Duke didn’t exactly make it easy for Scalise to run for political cover on Tuesday, telling Robert Costa of the Washington Post that Scalise had a “friendly” relationship with Duke’s longtime adviser, Kenny Knight. While Duke went on to say he didn’t have a personal relationship with the now–third-ranking House Republican, Duke’s comments certainly make it more difficult for Scalise to make the case that he didn’t know the racist politics of the group founded by Duke.